The Epson R3000 Inkjet Printer features high-capacity cartridges that hold 25.9 ml of ink each, more than most printers in this class. I was able to pop the hood on one today at WPPI and take this shot, allowing you to see for yourself. Indeed the cartridges look much bigger than those in my R2400. 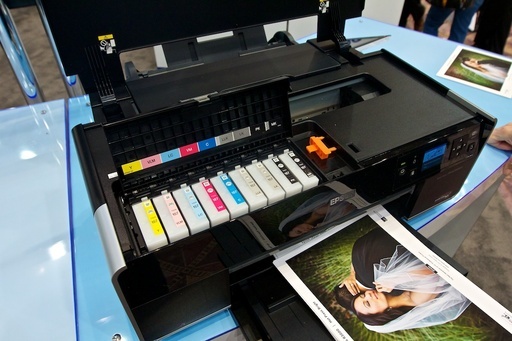 Epson also confirmed that they are on schedule for a March delivery of the first batch of R3000s. The street price will be $849. Epson Stylus Photo RX595 printer is also available in the local market and even worldwide. Epson printers comes from world's leading manufacturers. Also you can easily find brand new and even re-manufactured ink cartridges and toners.